If you require scaffolding at your property call us for a free no obligation quote – you’ll find our prices are very competitive. Our experienced team will arrange a site visit and discuss the many scaffolding options available to you but more importantly which option is best suited and most cost effective for your project. 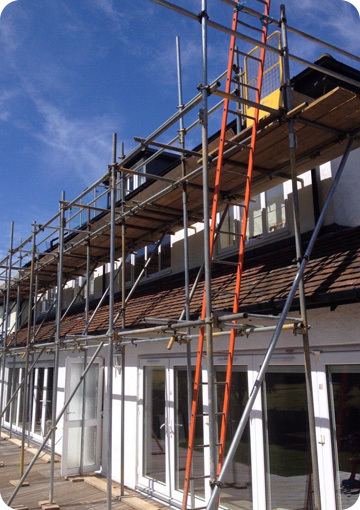 When any property maintenance is being carried out on your home that requires scaffolding, the initial preparation requires attention. By having secure scaffolding erected, the project will run smoother, more efficiently and maybe even more economically. Good planning saves time and money and we’ll make sure we take time to fully understand the brief and design a scaffold that delivers on all your needs. Our experienced, highly trained team are at hand to quote you for all your scaffolding needs and our rates are highly competitive. Call us today for your free quote on 020 8419 8552. Watford Scaffolding | Scaffolding hire Harrow, Watford, Pinner, Ruislip, Ealing and throughout West London, Middlesex and Hertfordshire A & F scaffolding erectors are a professional scaffolding company providing scaffolding services in Harrow, Watford, Pinner, Ruislip, Ealing, Northwood, Stanmore and throughout Middlesex, West London and Hertfordshire. Domestic scaffolding, commercial scaffolding, scaffolding hire, supply and erection in Harrow, Watford, Pinner, Ruislip, Ealing and surrounding areas. Here at A & F Scaffolding Ltd we take your privacy seriously and will only use your personal details to provide information about our products and services as you have requested from us.